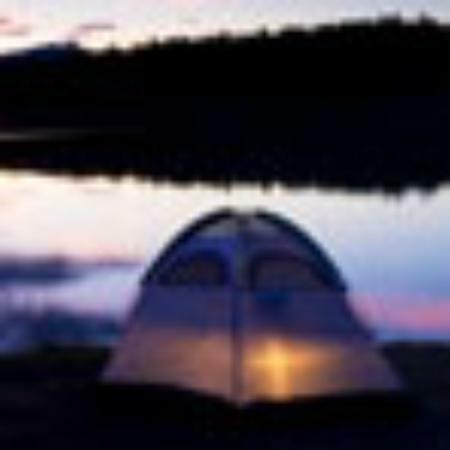 Watia Creekside - Luxury Retreat When only the Finest Accommodations will do, - Watia Creekside Retreat is the place for you... to rejuvenate after a day Exploring the endless attractions this area has to offer! 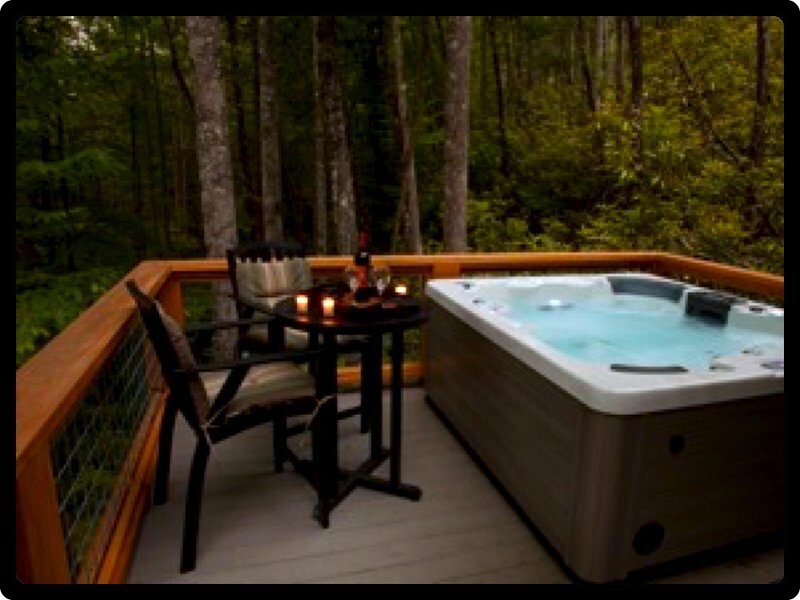 Let the Sounds of the Noisy Creek surround You as you Enjoy a soak in the Sparkling Hot Tub, or Relax in front of the outdoor Fireplace in the Large Screened Outdoor Living room. If you prefer a wood burning fire, the Rock Fire Pit is along side the Creek, and wood is provided! Inside the Cabin you will find the stainless and granite Kitchen is well appointed with everything you need to prepare your meals at 'Home'. The living room offers flat screen satellite T.V., a second Stone fireplace, and Leather seating. There are 2 extremely comfortable bedrooms on the main floor prepared with the finest of linens. Upstairs, the loft was designed for entertaining with a Foosball table, Flat Screen Satellite TV, 3rd bathroom, and another Living Area. If you HAVE to work, you will appreciate the business center, Bring your HotSpot (Connection is available) or use ours! * Owners provide, at no additional charge, WiFi 'hot spot' and 2 GB of data for emailing and browsing the internet, but not for streaming movies and/or music. (Satellite music channels are provided as well as a docking station for your play list). 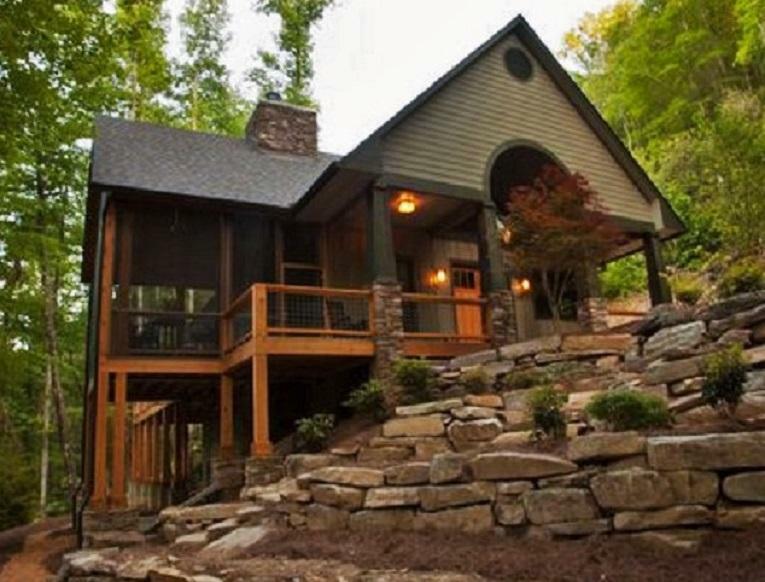 You have exclusive access to Fontana Lake front (private) just a few minutes drive from the Cabin! This beautiful Park Like setting offers shaded benches and Picnic Tables along side Lake Fontana! There is a fabulous Sundeck above the boat slips, and great fishing so bring your pole! Fontana Lake is home to every freshwater species of fish (including Waleye)! 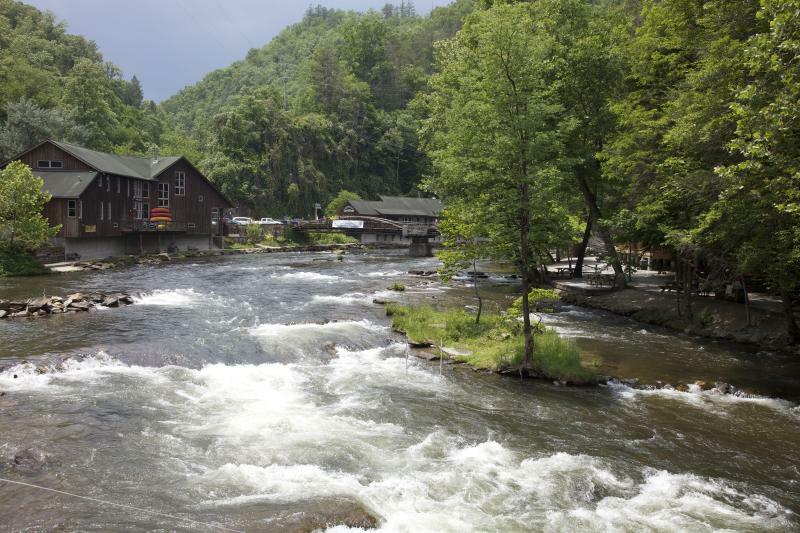 This Exclusive Location offers a Private road that leads to the Nantahala Outdoor Center (N.O.C.)! Along this road you will encounter a Private (Built by the Owners of Creekside Retreat for your enjoyment) Deck that overlooks Lake Fontana and Amazing Views of the Mountains beyond, Over 7 miles of Biking Trails, and near to the cabin - a Hiking Trail that leads to a Spectacular 50 foot Waterfall! The Amenities at the NOC are yours to enjoy (Both Public and Private). This includes: Whitewater Rafting, Kayaking, Horseback Riding, Fly Fishing (lessons, poles, and bait available), Tennis Courts, Bike Rentals, Rope Course, Zip Lines, Outfitter Store, 3 Restaurants (from casual outdoor Riverfront to Fine Dining at Relia's Garden), & Live Entertainment (seasonal). The Tsali Recreation Center is just 10 minutes up the road, so bring the bikes! Bryson City for shopping, dining, and the Scenic Train Depot is 15 - 20 minutes away.... Cherokee, Harrah's Casino, and the Great Smoky Mountain National Park is just 20 - 30 minutes away. Peaceful Privacy and Quietude, located in the heart of all the Action, it does not get any better! ... Also available is our Shopping service. If you would like to arrive at the Cabin with your Groceries already stocked, ask for details, we will have it waiting for you. ... If you would like to enjoy a Spa Massage Service at the Cabin, it is a good idea to book in advance to assure availability. Your Professional Massage Therapist will come to you, so when you are done, they quietly disappear and leave you to relax! ... If your vacation dates are during 'Season' or Holidays and you plan to rent a pontoon or fishing boat, it may be a good idea to reserve in advance! Lake Fontana is primarily National Forest, Smoky Mountains, and Federally owned, so the Lake is never 'Busy', but the few available rental boats do get booked up. Additional amenities include: dock/boat-slip, game room, foosball, media library, games, mountain, heating, attractions - marina, attractions - rec center, cookware, generator, hospital, medical services, attractions - museums, attractions - live theater, hunting big game, dining oven, boating, photography, meals guests furnish own, theme luxury, equestrian events, theme adventure, gambling, mountain biking, living room, water tubing, grocery shopping service available, theme sports activities, dining refrigerator, shopping, attractions - forests, hunting, rafting, eco tourism, fire pit, dining toaster, theme parks, other services massage, attractions - waterfalls, bird watching, attractions - library, attractions - winery tours, horseback riding, sight seeing, scenic drives, internet - hi speed, bike rentals, kayaking, theme romantic, dining area, lake, shower, live theater, antiquing, hunting small game, atm/bank, massage therapist, mountain climbing, dining stove, rural, attractions - festivals, biking, theme tourist attractions, swimming, coffee maker, walking, access to beach, theme spa, hiking, pier fishing, fishing freshwater, attractions - churches, attractions - health beauty spa, attractions - autumn foliage, mountaineering, theme family, fishing fly, groceries, fishing, white water rafting, wildlife viewing, theme away from it all, dining spices, cooking utensils.